Angela Lanfranchi is an anti-abortion activist and cofounder of the Breast Cancer Prevention Institute. She is currently one of the most vocal defenders on the utterly discredited idea, based on ridiculous junk science, that there is a link between abortion and breast cancer – a central tenet of her institute – and probably the most important defender of that particularly who actually should have some formal competence in the field and who actually takes care of breast cancer patients for a living (she is not a scientist, though). 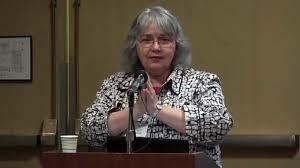 Lanfranchi has herself published arguments in favor of such a link in the pseudojournal JPANDS, the house journal of the deranged conspiracy theory group The Association of American Physicians and Surgeons, which should relieve her of all assumptions of minimal credibility with regard to the issue. She is nevertheless somewhat influential, insofar as many of those unable or unwilling to look at the science are attracted to her conclusions for political reasons. According to Lanfranchi, “[i]t amounts to child abuse to take a teenager in a crisis pregnancy for an abortion. At best, it will give her a 30% risk of breast cancer in her lifetime. At worst, if she also has a family history of breast cancer, it will nearly guarantee this.” The numbers are effectively PIDOOMA (discussed in detail here). Then she appeals to the Semmelweis gambit and asserts that doctors don’t dare tell you this because they’re afraid of their reputations, which they honestly should be if they said this since the claim has been completely debunked. Conclusion: Crank who shamelessly pushes pseudoscience for ideological reasons. As such, she also has a certain influence among those who, for non-evidence-based reasons, agree with her conclusions. Sad.